Art in the Loop partnered with the Kansas City Design Center and Brandon Wlosinski, to create this interactive three-dimensional model of Downtown Kansas City. Viewers can fly through, zoom in and out of, and then click on one of 21 sites identified by students as locations for art. 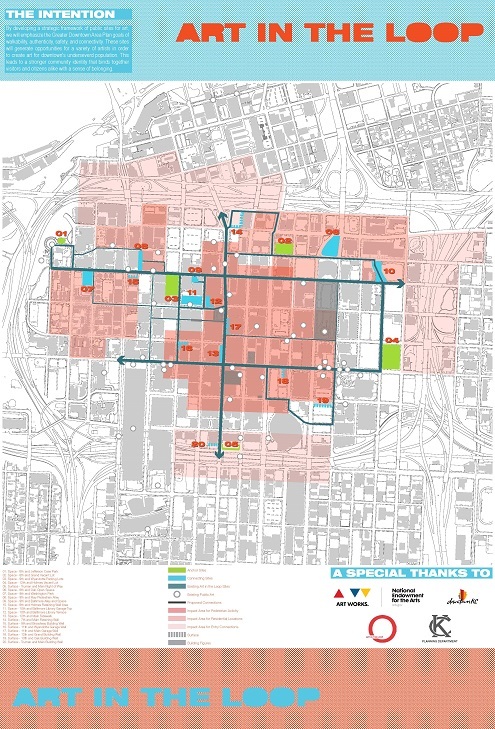 In late 2015, the Kansas City Design Center (KCDC) was awarded a Challenge America grant from the National Endowment for the Arts to help fund the development of the Art in the Loop Vision Plan. Working with the Art in the Loop Foundation and the Downtown Council, KCDC developed a strategic system to identify sites for artwork with the goal of improving the connectivity and identity of Downtown Kansas City. 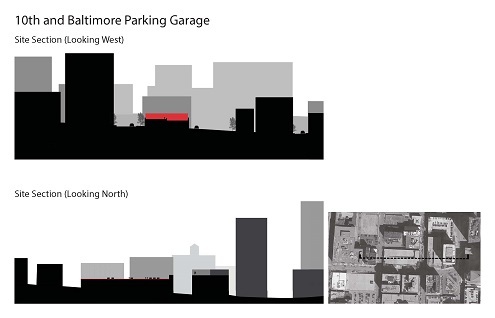 The project included a public input process, inventory of physical assets, survey of existing artwork, and development of criteria for a site selection process. The process also included the development of a 3-dimensional digital model for Downtown Kansas City. 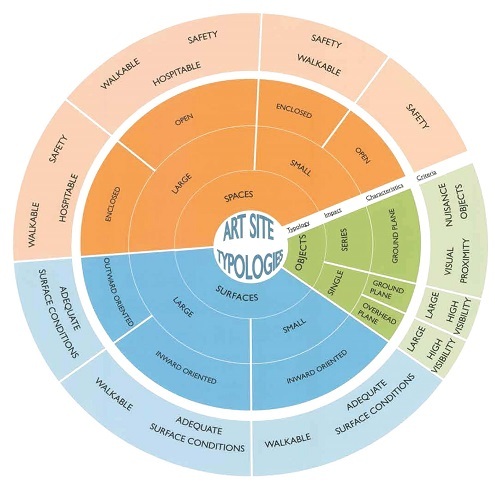 During the process, KCDC students identified 21 sites; then documented the sites and a created a reference manual for future for artists’ concept development. Three local artists, Julia Cole, Phil Shafer and Barry Anderson, acted as consultants to not only enrich the dialogue between disciplines but lend their unique expertise to the development of art sites. 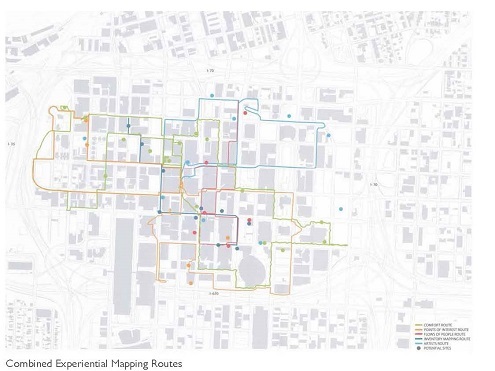 Our vision is to enhance the identity of Kansas City’s Downtown core by improving walkability, authenticity, safety, and connectivity by expanding the network of Art in the Loop art sites. By developing a strategic framework of public sites for art, we will emphasize the Greater Downtown Area Plan goals of walkability, authenticity, safety, and connectivity. These sites will generate opportunities for a variety of artists in order to create art for downtown’s diverse populations. This leads to a stronger community identity that binds together visitors and citizens alike with a sense of belonging. Click here to download the process document. Click here to download the summary map. Click here to download the inventory document. Click here to download the site manuals.